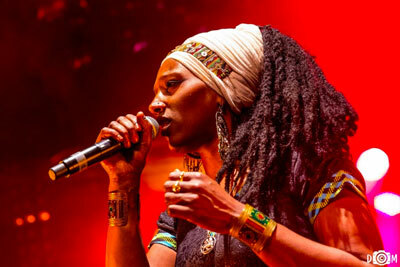 Born in Cap Verde but raised in France, Mo Kalamity is a important female figure on the reggae scene nowadays. Her musical influences are rich and include altogether classic reggae and soul from the golden age of JamaÔca in the 60s and 70s as well as more global afro american music. She will be releasing her third and last album in Canada Soul of Freedom with Huta Music record label on the 3rd of june 2016.